 KwikAdd is an online marketplace for outdoor advertising, and connects; media buyers, media agencies & media sellers. KwikAdd is also a comprehensive database for alternative, traditional and digital out-of-home media. Yes. It is free for media sellers to sign up, create listings and generate leads. It is also free for media buyers to search, browse and make an offer for a media placement. How do Advertisers (media buyers) benefit from KwikAdd? For advertisers, KwikAdd's online platform offers a convenient and cost efficient way to; plan, buy & manage outdoor advertising campaigns. I'm a seller. How do I list my media, so that I can generate leads? After you have created your Media Owner Account, make sure you are logged-in and follow the online guide accessible from your Dashboard. How do media sellers/agencies benefit from KwikAdd? For Out-of-Home media sellers, KwikAdd's online platform offers a cost efficient way to increase bookings. You can list your unsold inventory and get enquiries from local, national & international advertisers. KwikAdd also offers features for inventory management and analytics. I'm a buyer. How do I buy an advertising placement? Create a Media Buyer Account, find the listing you like, then make an offer. The Media Owner will then contact you either directly or via your KwikAdd account. Alternatively you can contact the Media Owner direct using the contact details provided on the listing. After you have agreed the deal with the Media Owner the final order and payment is done directly (i.e. not via KwikAdd). Does the outdoor advertising industry really need an online marketplace? We believe that the outdoor advertising industry is ripe for modernization. With an online platform, buyers of inventory will no longer need to undergo the laborious process of identifying the right units and their availability through cycles of phone calls and emailing excel sheets back-and-forth, and sellers of inventory will have access to more buyers than ever before. Is KwikAdd available in my country? KwikAdd is currently available in India.We’re adding more countries in the next few weeks.Still can't find what you're looking for? Send email to: info@KwikAdd.com or use the contact form to connect with us. KwikAdd © 2019. Crafted in INDIA. All icons and images © to their respective owners. Please enter your email address and we will send you an email about how to reset your password.